SOLD!!! 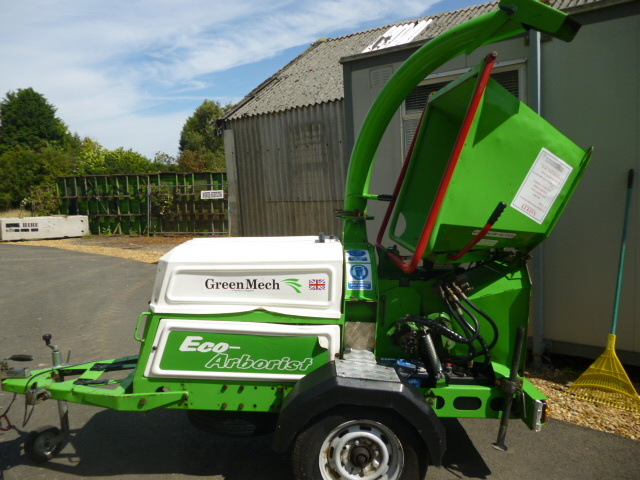 GREENMECH ECO ARBORIST WOOD CHIPPER PERKIN SOLD! Brief Description: YEAR 2004. ONLY 400 HOURS. MODEL EC15-23 26. UNBRAKED TOWING. VERY LIGHT TO MOVE. PERKINS DIESEL ENGINE. More Information: The backbone of the Arborist 150s design is based on a deep beam, high tensile steel chassis which creates tremendous strength and ensures a robust performance. 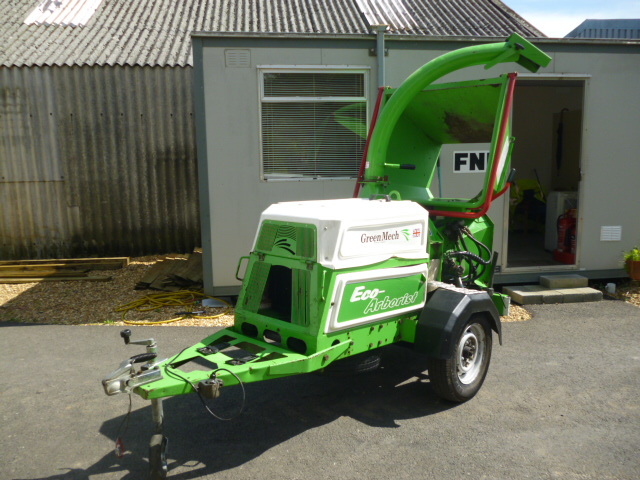 A new, generous in feed hopper, measuring 970mm x 790mm, means that free flow of bulky material can be handled without having to trim to a more manageable size. As the material passes through twin, hydraulically powered feed rollers, the patented, electronically controlled �eNo Stress�f feed system varies the speed of throughput to ensure maximum chipping efficiency. The chipping system comes with the patented and renowned �eDisc Blade�f configuration which allows rotation of the cutting edge and extends the sharpening period to only once in approximately 150 hours. 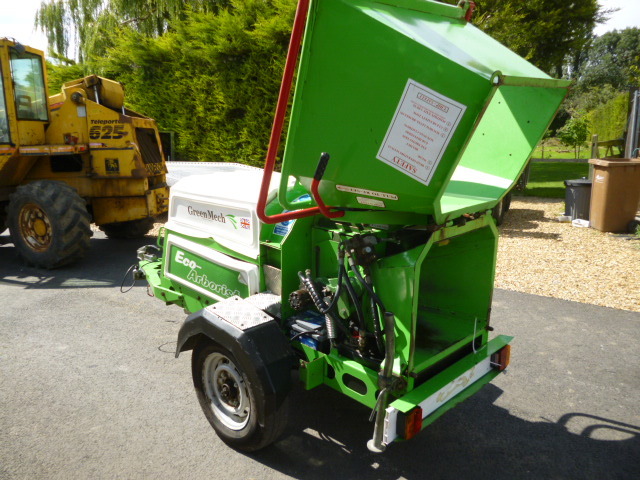 This is a feature that reduces downtime, cuts maintenance, reduces labour costs and maximises working performance. 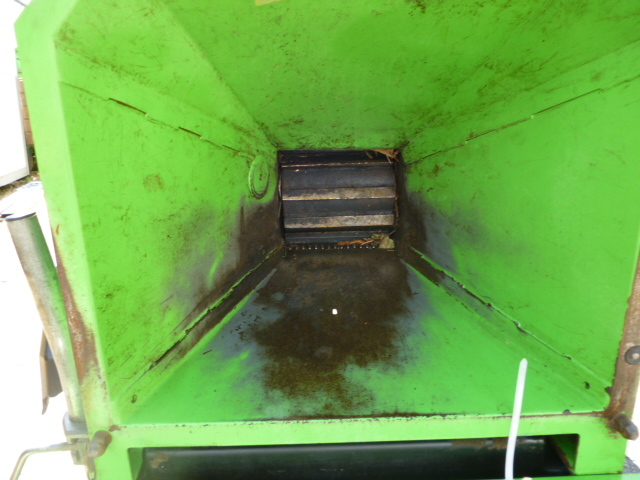 Maintenance is very minimal, with a few grease points and a daily check-over. Apart from that, your chipper is ready to go! 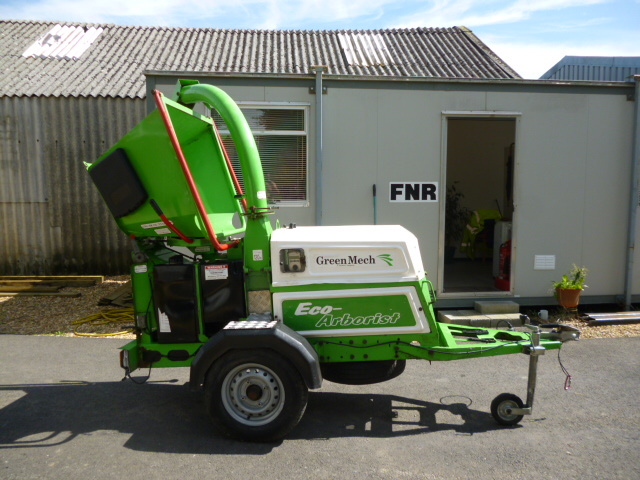 Like all GreenMech chippers and shredders, the Arborist 150 is manufactured with a heavy-duty construction design, using high quality materials and a highly durable powder-coat finish which stands the test of time and holds a very strong residual value.